A streamlined installment agreement may be available if the amount of your IRS liability is less than certain thresholds namely less than $25,000.00 or less then $50,000.00. 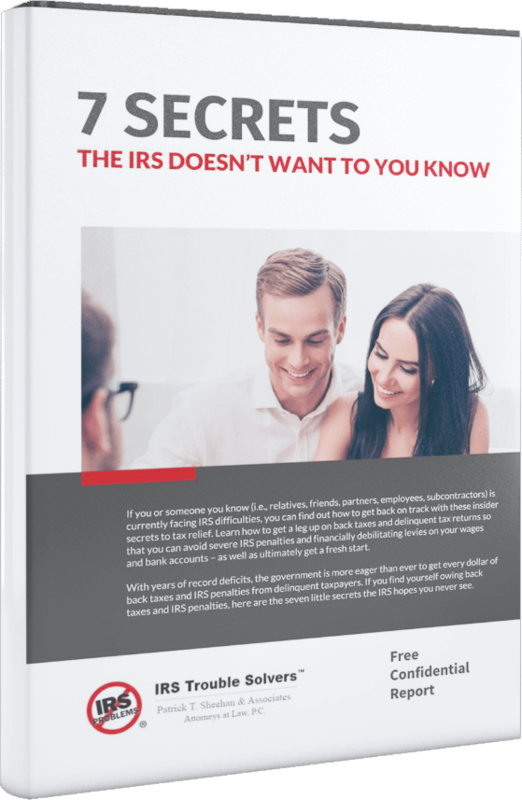 If the liability is less than these thresholds, the IRS may not demand the filing of financial statements and we can negotiate an installment agreement for up to five or seven years. If you are eligible for a streamlined installment agreement, we can save both time and money to attempt to resolve your tax liability.